Certain of the Company’s products and services are offered on an ongoing basis with a monthly or yearly subscription. Users may cancel subscriptions at any time by emailing adrien [at] FearlessPractitioners.com. To the extent that you attempt to assert any such claim, you hereby expressly agree to present such claim only through binding arbitration to occur in Austin, Texas, USA. You further agree to and do hereby waive any right to class arbitration and agree, instead, to conduct an arbitration related solely to any individual claims you and/or any entity related to you asserts against the Company. To the fullest extent permissible by law, you further agree that you shall be responsible for all costs associated with initiating the arbitration and for the administration of the arbitration. 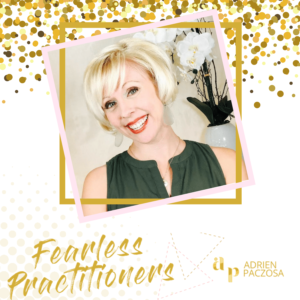 At Fearless Practitioners®, our goal is to treat and serve our clients and customers as we ourselves like to be treated and served. Whether you are a VIP client, small project client or a student in one of our training programs, you matter. Your business is important to us.